Recline in the deep contours of the 730L and experience all that the innovative new Crossover Collection Spa has to offer. 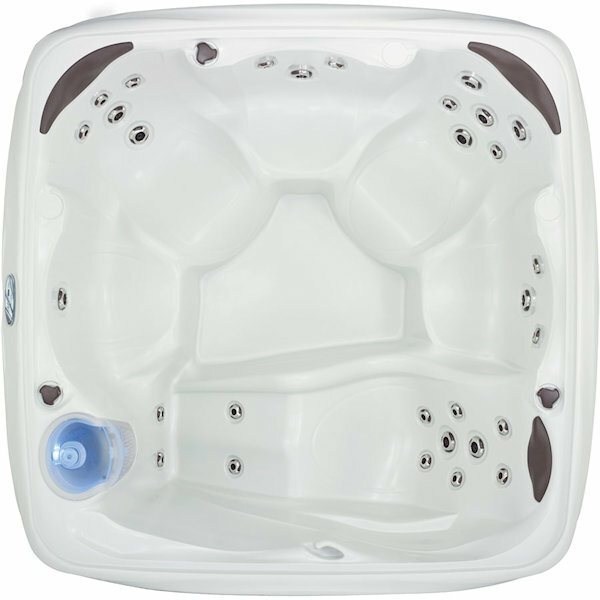 This five to six person hot tub with a full-body lounge has thirty adjustable jets that target shoulders, back muscles and feet for a massaging hydrotherapy experience. Enjoy the comfort pillow headrests to enhance your relaxation. For entertaining or unwinding, the MoonGlo Waterfall with Back-lit LED Light and eight exterior cabinet lights allow you to set the perfect mood.